In 2008, Supportico Lopez decided to start a new life, moving to Berlin. 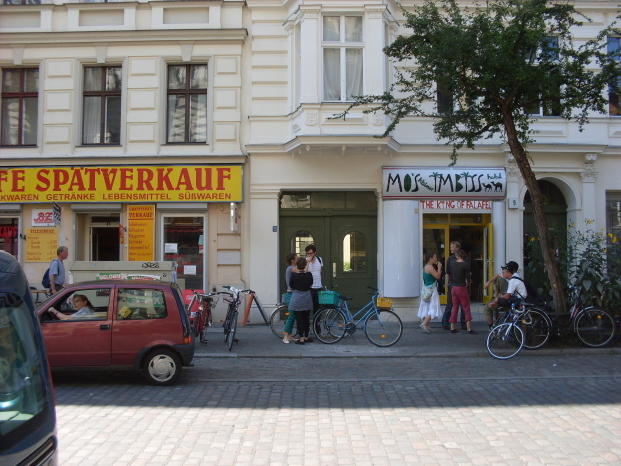 Initially from the space in Graefestrasse 9 in Kreuzberg and then, since September 2012, within the gallery located in Kurfürstenstrasse 14/b, Schöneberg, the has been that of being a gallery in which the curatorial attitude is a peculiarity and a distinguishing trait. In June 2018 Supportico Lopez decided, after taking on various forms over the past fifteen years, to transform once again; its directors Stefania Palumbo and Gigiotto Del Vecchio closed the premise in Berlin and under the umbrella of Supportico Lopez now run the Archivio Conz, while continuing their wider curatorial practice with an attention on bringing together historical figures and contemporary artists.